The active weather pattern we are currently in will continue to move right along. While this next storm system will most likely be a multiple-day weather event, we will focus our attention on the Monday threat. 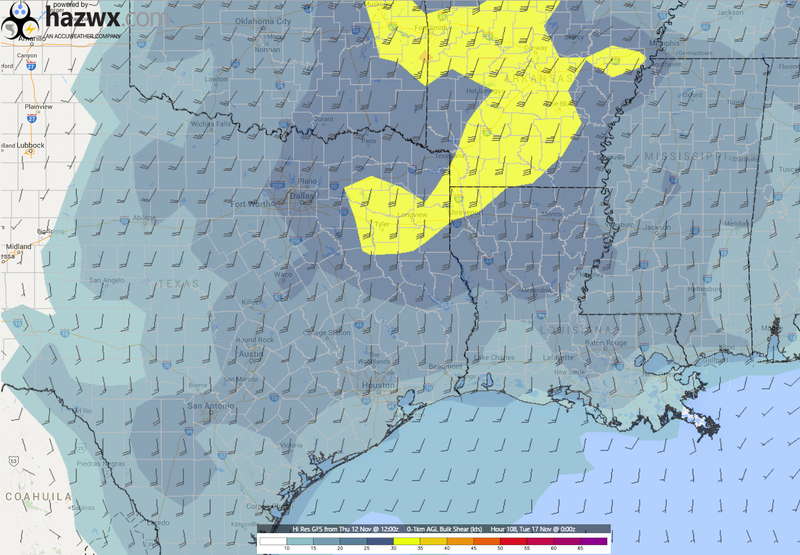 This threat includes all of eastern Texas, along with the adjacent states. 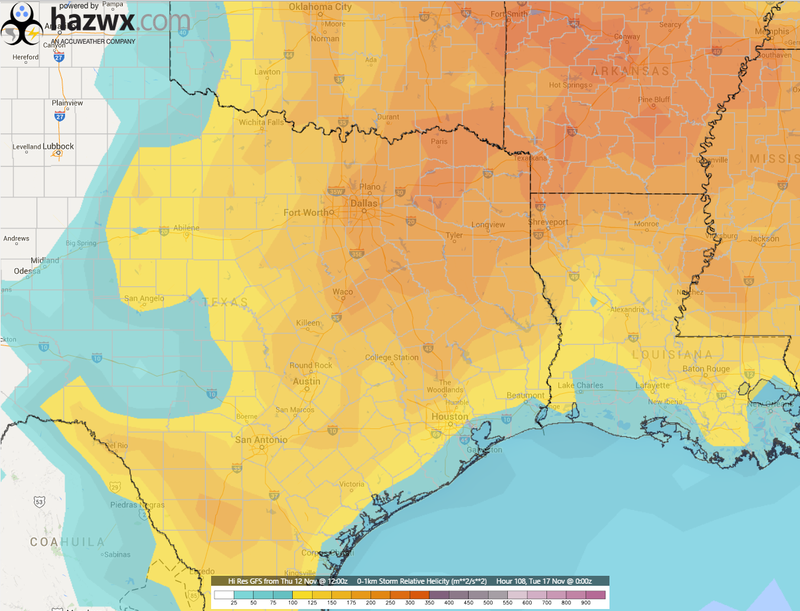 That bowling ball feature you see there over Arizona will be the main driving force in the severe weather threat for the first portion of next week across the south. It will begin to take on more of a negative tilt (that is to the left). 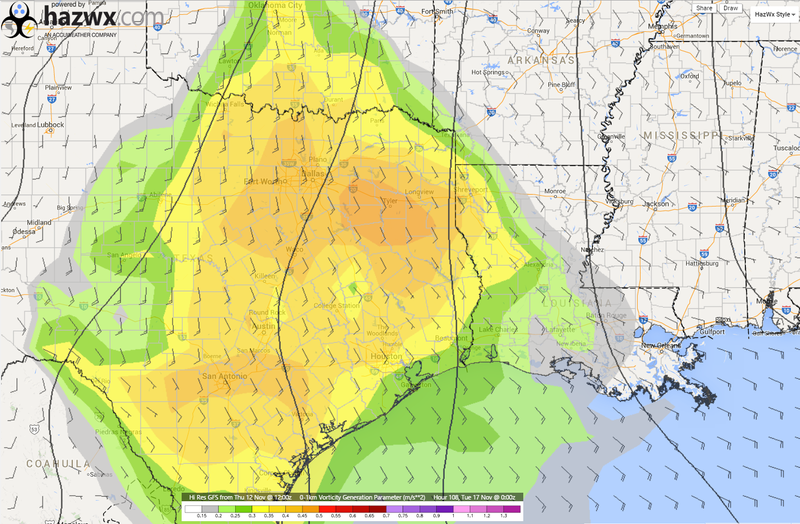 As a result, severe weather is a definite possibility. With the storm center in the past couple of days that was lacking moisture, this particular setup will not. 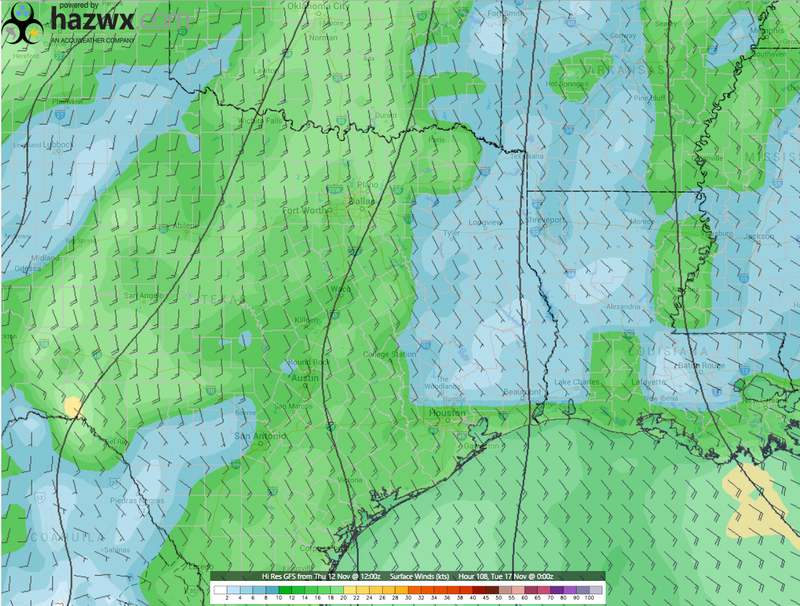 Also, the surface based convective available potential energy (SBCAPE) was lacking some. 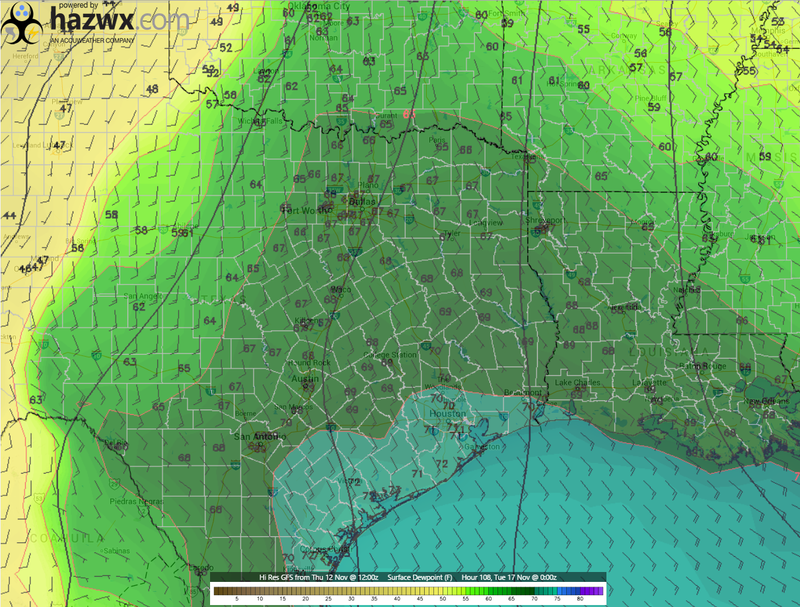 With this particular setup, there is more than sufficient SBCAPE across eastern Texas. As was the case with the storm center that caused the severe weather issues in Iowa and Missouri, you have south-southeast to southeast winds at the surface. Going to 850 mb (5,000 feet above ground level), and 500 mb (18,000 feet above ground level), there is changing of wind direction with height. That will aid any thunderstorm development to gain rotation. The areas you see there in the yellows and oranges feature areas where the helicity in the lowest one kilometer and three kilometers indicate higher potential for more organized updrafts. 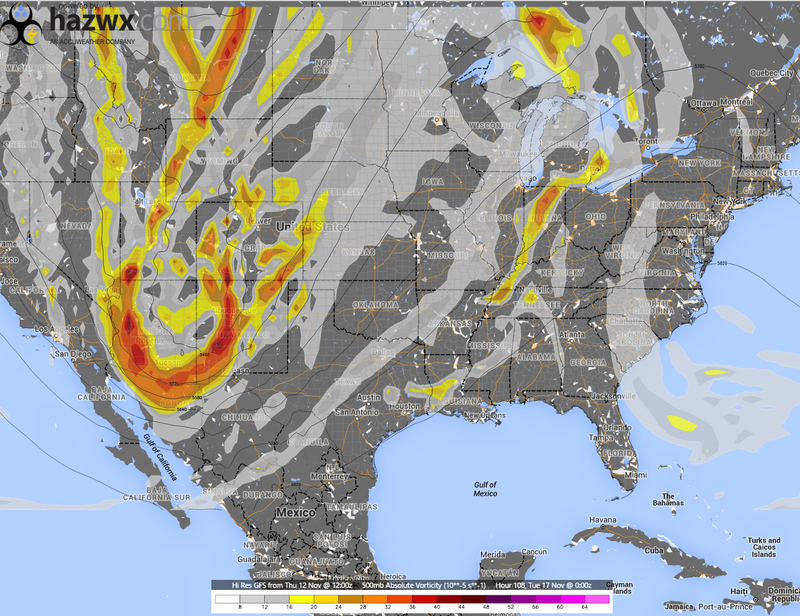 That would aid in the development of severe thunderstorms with potential to produce tornado activity. With shear in the lowest one kilometer exceeding 20 knots shown here, along with the six kilometer shear exceeding 40 knots, that will aid in any thunderstorm’s potential to become supercelluar in nature, and the ability to potentially produce tornado activity. 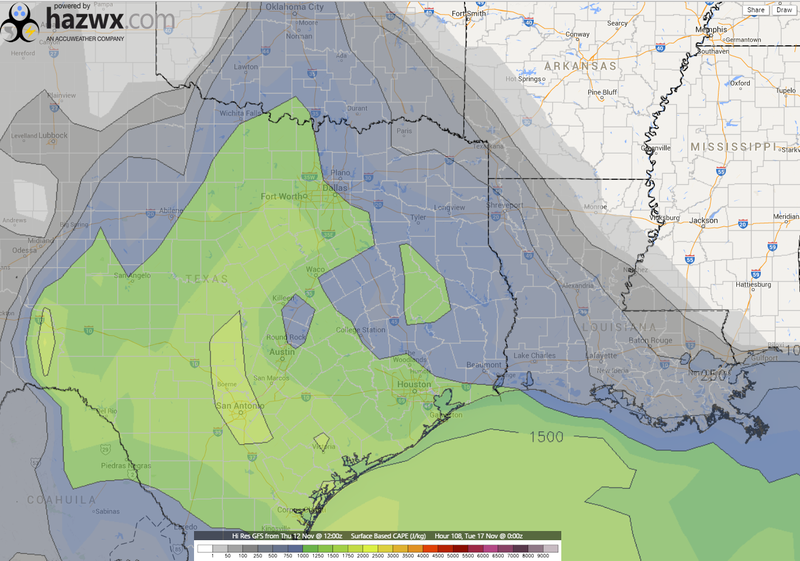 Warm air inversion should not be of particular concern with this setup. The areas in the white and light blue indicate areas where there is basically no cap. 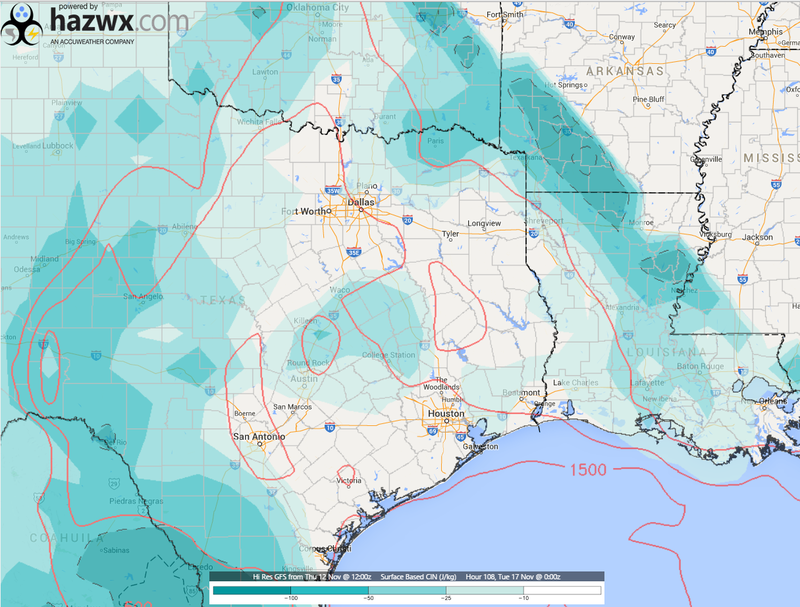 As a result, thunderstorms should easily develop. 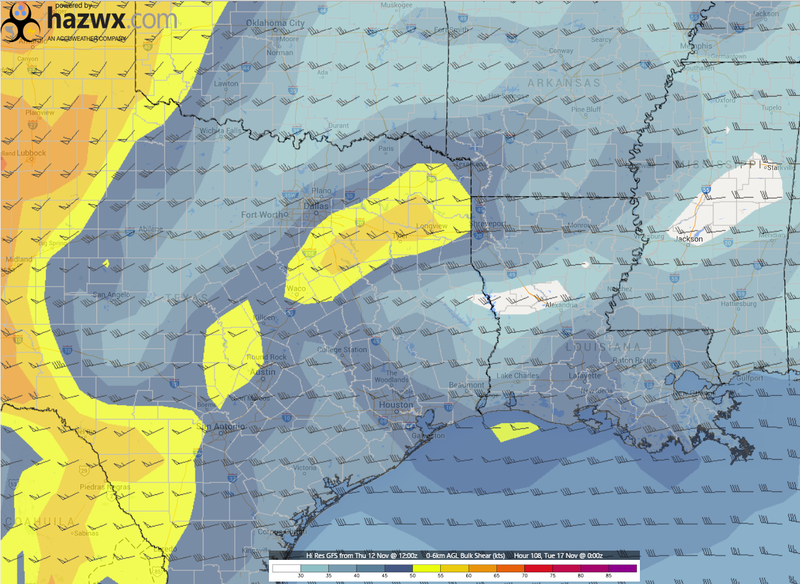 With the Vorticity Generation Parameter shown here, it indicates which locations are at highest risk for possible tornado activity. Values over 0.2 indicate the highest potential for such. 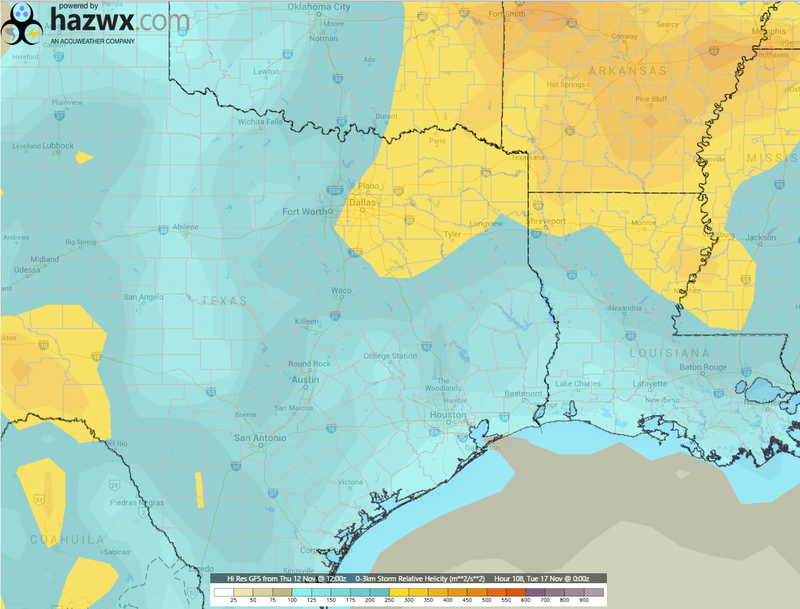 Much of eastern Texas is at or well above 0.2, nearing 0.4 to 0.5. 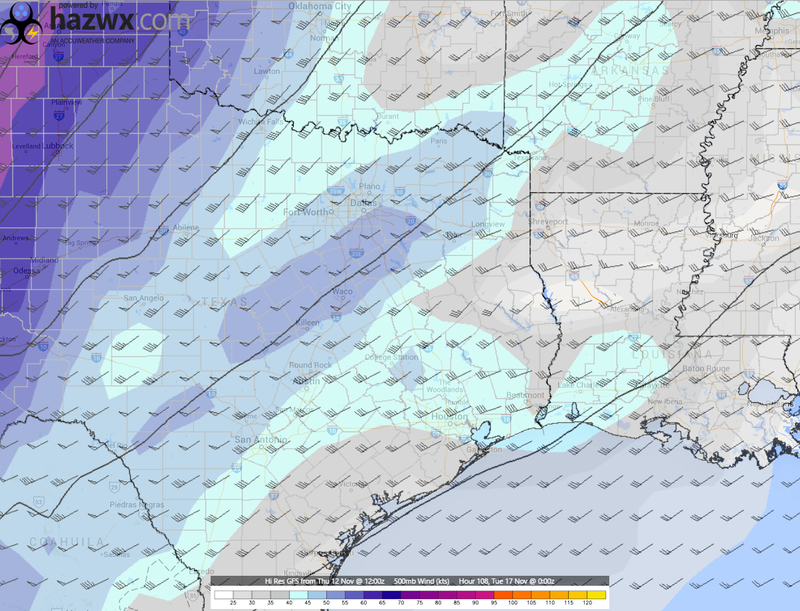 Those values indicate tornado activity is very much a possibility. 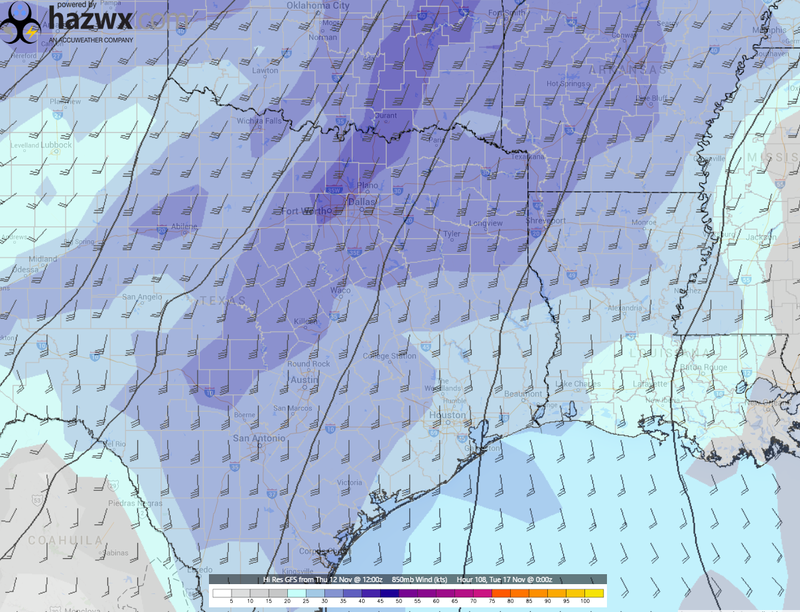 Also to note, the zero to one kilometer Energy Helicity Index is depicting values over one unit across much of eastern Texas. With those values, the chances are higher of strong damaging tornadoes with any discrete supercell thunderstorm that does develop. We will continue to monitor the very latest on this potential storm situation for you. Stay tuned.